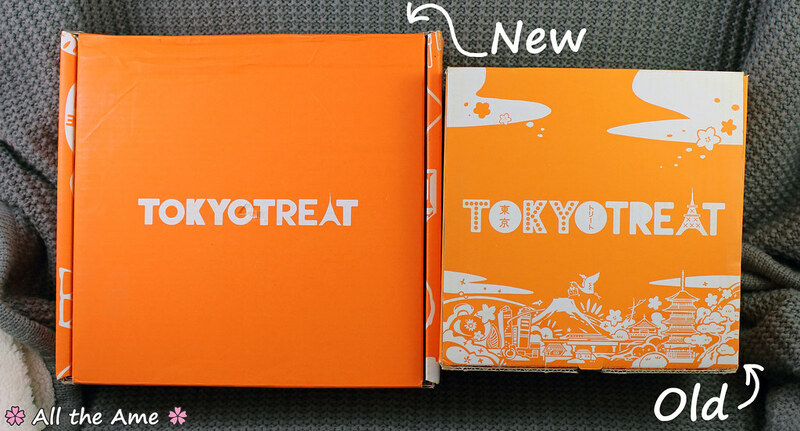 There have been some big changes to the TokyoTreat service, first up is a brand new box design! The shape is totally different and the box is much sturdier, you can pick it up with one hand now rather than two which makes it MUCH easier to handle. I’m sure my Post Man appreciates this change! 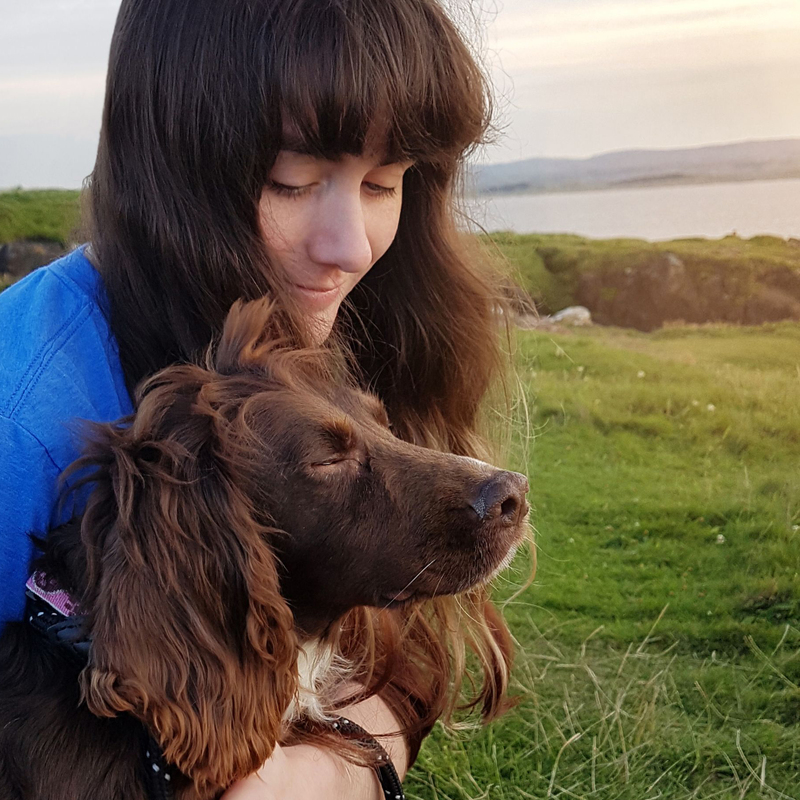 Visually and practically speaking I am very pleased with the new design. It may not look it but the new box is bigger on the inside, which leads to the next change; each box size will now feature more snacks for the same price! How awesome is that? 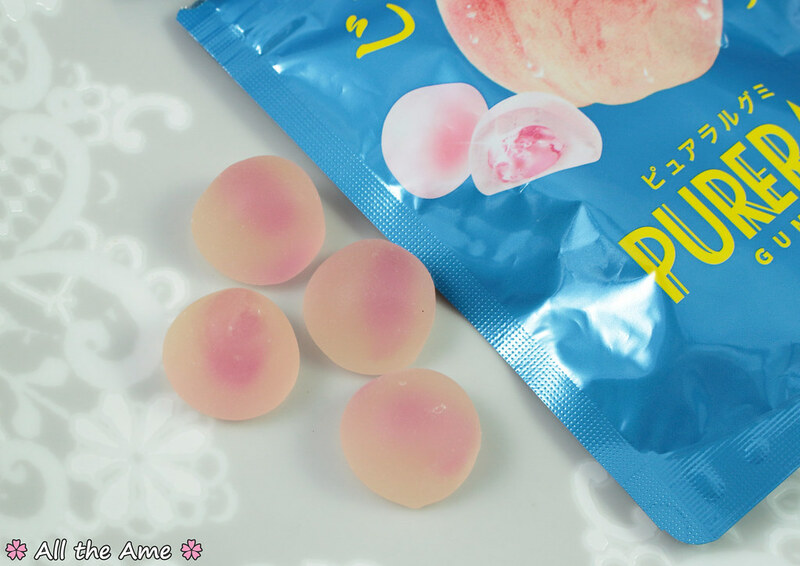 The premium box will now contain 18 snacks, including one traditional wagashi snack and a 5 piece dagashi bag. 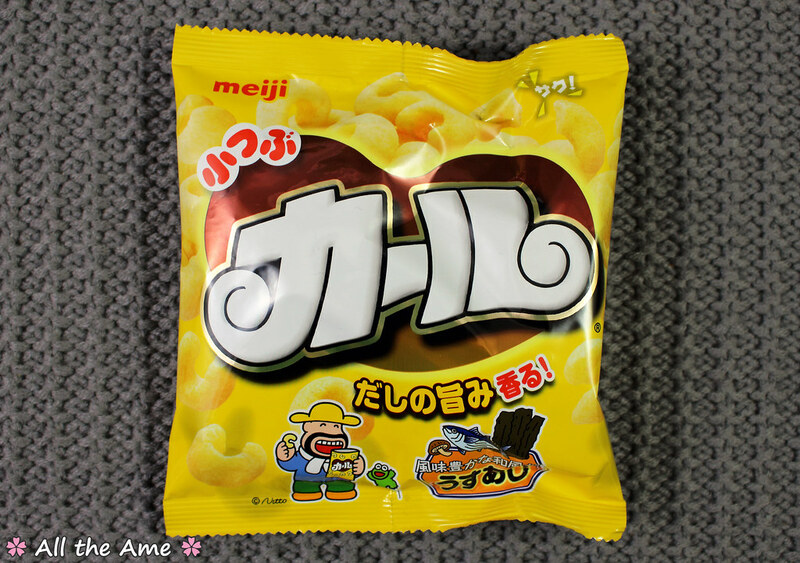 This month the dagashi bag included a bag of yakisoba sauce flavoured corn puffs (delicious), a large chocolate coated corn puff (good), a pizza flavoured umaibo (gross in a delicious way as most umaibo are), a pack of pudding flavoured mochi (utterly amazing, tasted just like custard pudding but with a jelly filled soft mochi texture) and a pack of rice crackers with a sachet of strange sauce that is much better for drawing faces with than it is for eating, but that tastes fine in small quantities (if anyone can tell me what that sauce is I’d love to know!). All in all a great variety, I was impressed that there was nothing as noticeably cheap or poor quality as I expected. 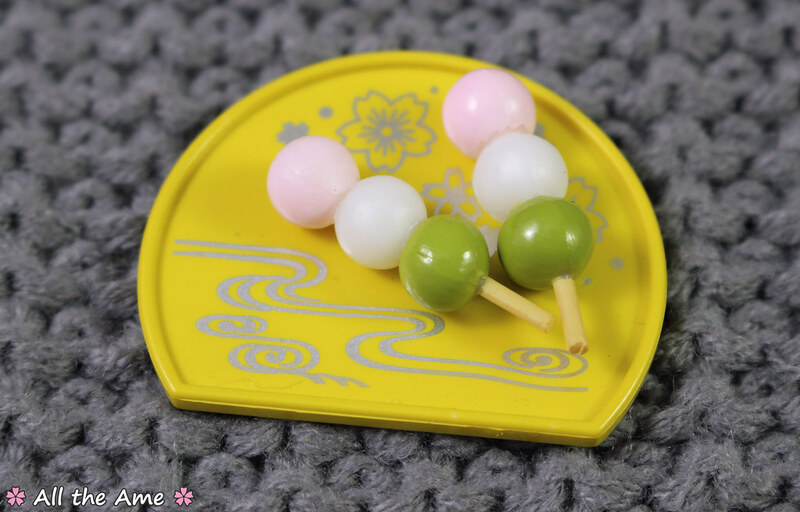 I think I’ve been too critical of dagashi in the past! Or maybe I just had some bad examples? 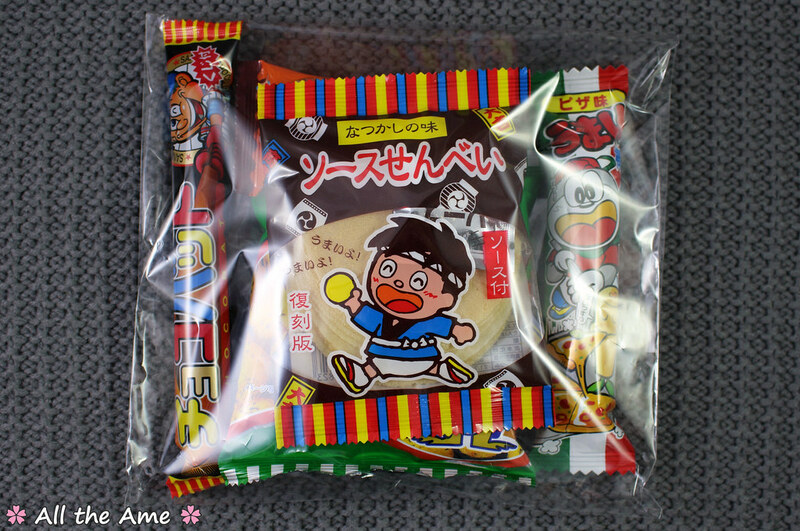 Anyway, the dagashi bags are a really fun addition (especially since the price didn’t go up to include them!). 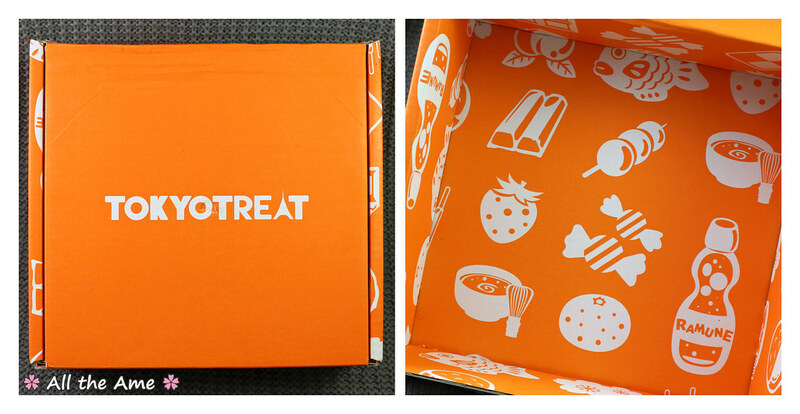 Other changes involve faster shipping when you sign up as TokyoTreat now ship everyday, great news for new subscribers, and general improvements to the website and customer portal. 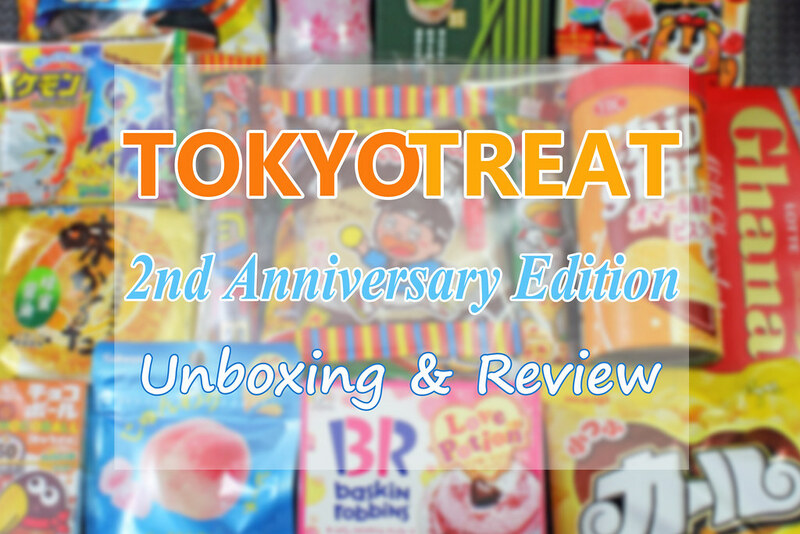 Chocolate is always a great way to start an unboxing! Strangely of all the Lotte chocolate I’ve tried I’ve never tried the regular milk chocolate Ghana, so while this is perhaps quite a conservative choice of chocolate bar to include I was still happy to see it. 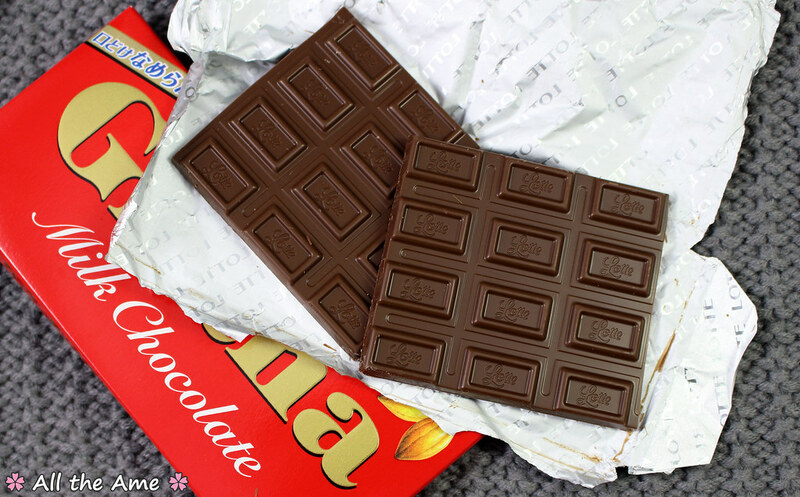 Did you know Ghana has been the flagship chocolate bar for Lotte since 1964? The chocolate is great, lovely and creamy and not quite as sweet as UK brands. The thin rectangles melt in your mouth very quickly, before you know it the whole bar can just disappear. Oops! Gummies, yay! 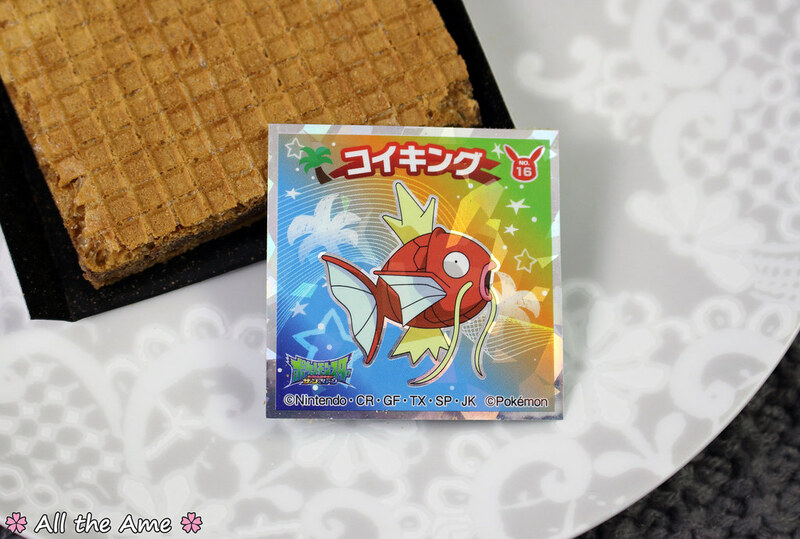 Now that summer is coming and it’s just about impossible to ship chocolate I’m hoping we’re going to see lots more delicious gummies. 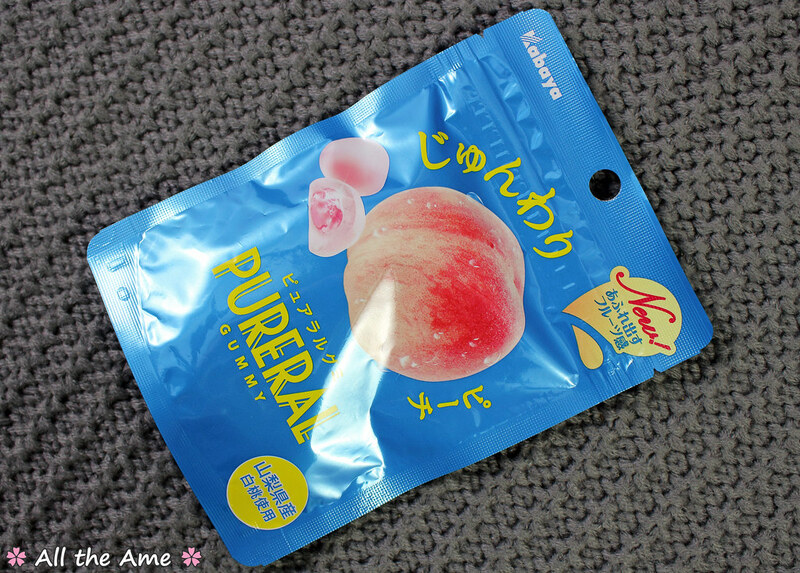 These PURERAL gummies are peach flavour and feature two different textures to mimic a real peach. 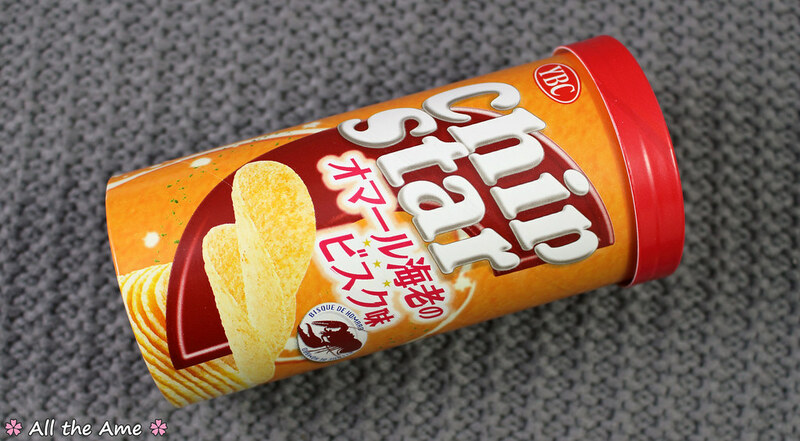 TokyoTreat say Chip Star is a popular brand in Japan, which I don’t doubt but when you see and taste the amazingness that is Japanese Pringles…well, Chip Star seems like a cheap knock off by comparison! I haven’t found a Chip Star flavour I’ve enjoyed yet, and sadly these are no exception. There’s a seriously unpleasant fishy taste, we’re talking rancid shellfish fishy not delicious fishy. 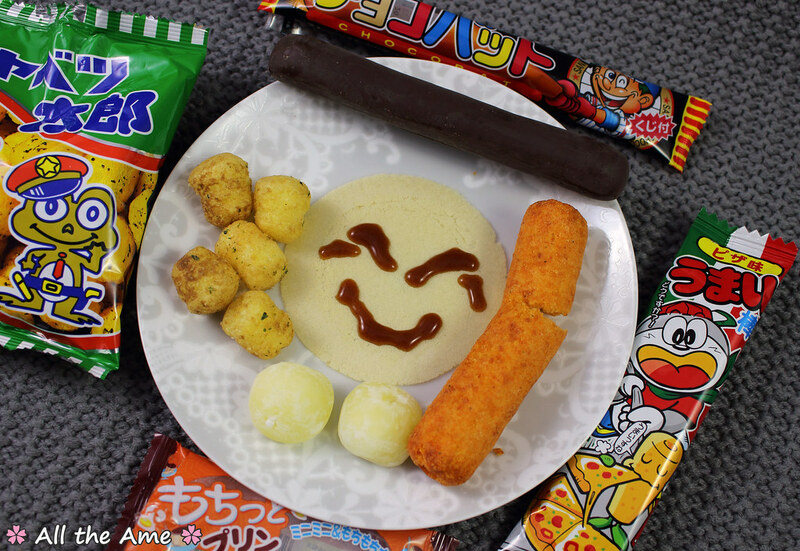 We did make other observations on the flavour but they’re not very polite, so we’ll leave it at saying none of us enjoyed this snack (and I’m sorry I made anyone else try it). This gets a 0/10, 100% would not recommend! The caramel centre is the hard, solid type that hurts your teeth if you don’t let it melt in your mouth a bit before you chew. I wasn’t able to bite or cut one in half to show the centre so…that should give you an idea of how tough these caramels are. 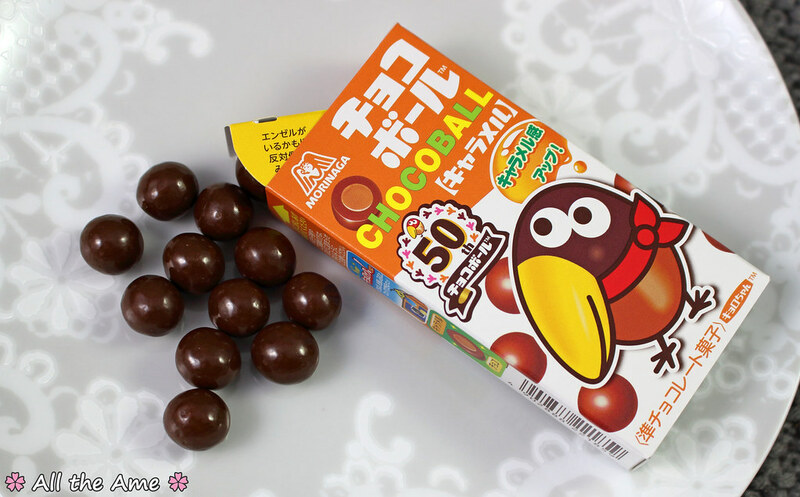 These are very much comparable to UK Toffee Poppets, I think the chocolate coating is a little thicker than Poppets but it’s been a long time since I’ve eaten those so I’m not sure. 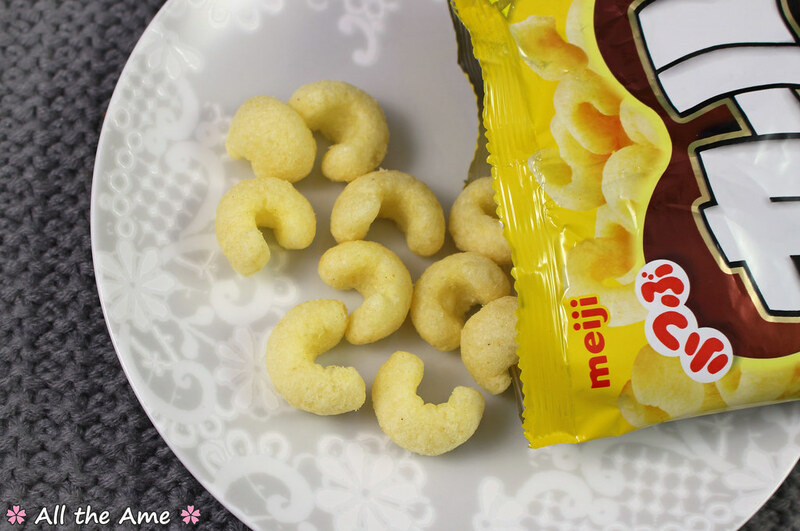 ‘Light’ would be an appropriate word for both the taste and texture of these delightful corn puffs. 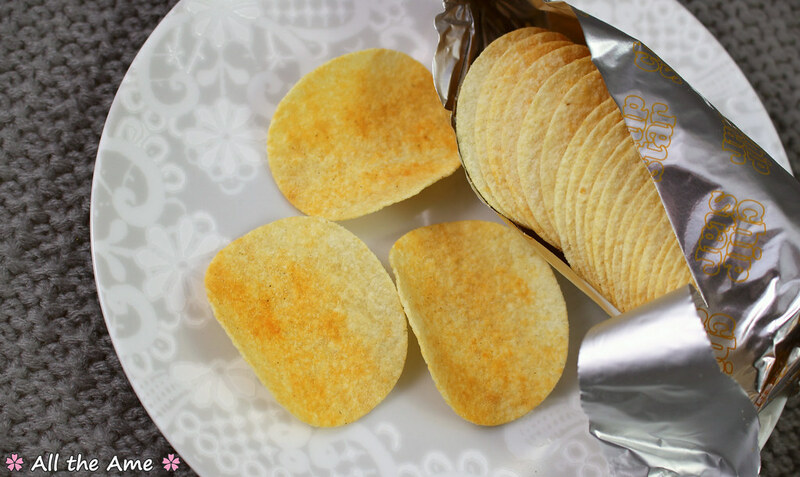 The flavour is mild, a little salty and a little savoury, and the texture is airy and crisp. Part of me would like a stronger flavour, but I can appreciate that these make for a great snack if you just want something light. These get a 9/10 from me, I’m not sure I’d go looking for them again as they’re just a bit plain for my tastes but they’re a tasty little snack nonetheless. 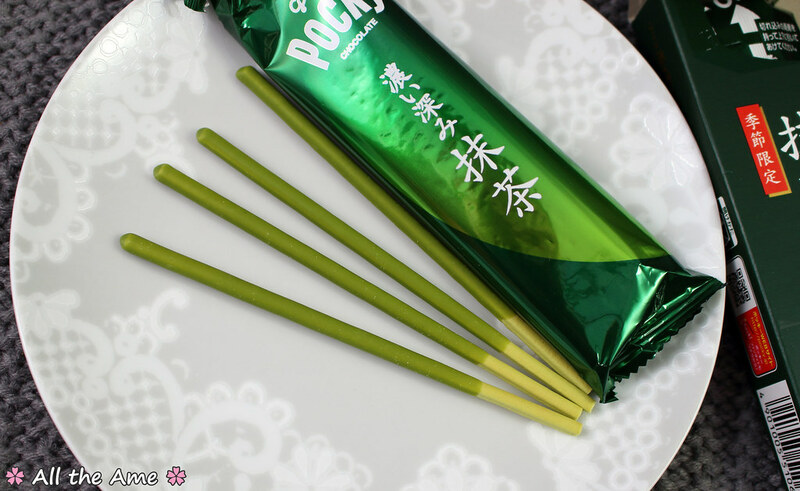 There are quite a few varieties of matcha Pocky around, perhaps I lack the fine taste of a Pocky connoisseur but they all taste much the same to me. This one is as good as any of the others and has a great matcha flavour, which it seems means you’re likely to love it or loathe it depending if you like matcha or not! 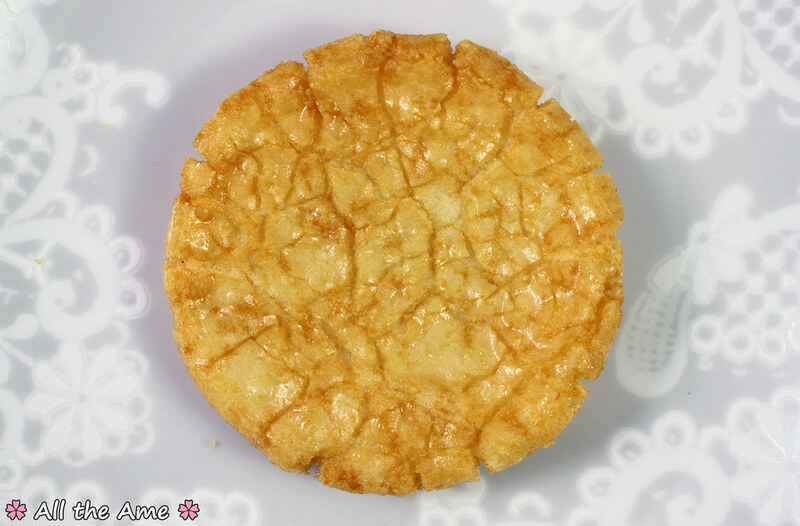 This is an incredibly thick and solid rice cracker, I had to break it apart with my hands rather than bite it to avoid hurting my teeth! There is SO much flavour, just look at that beautiful shiny glaze. 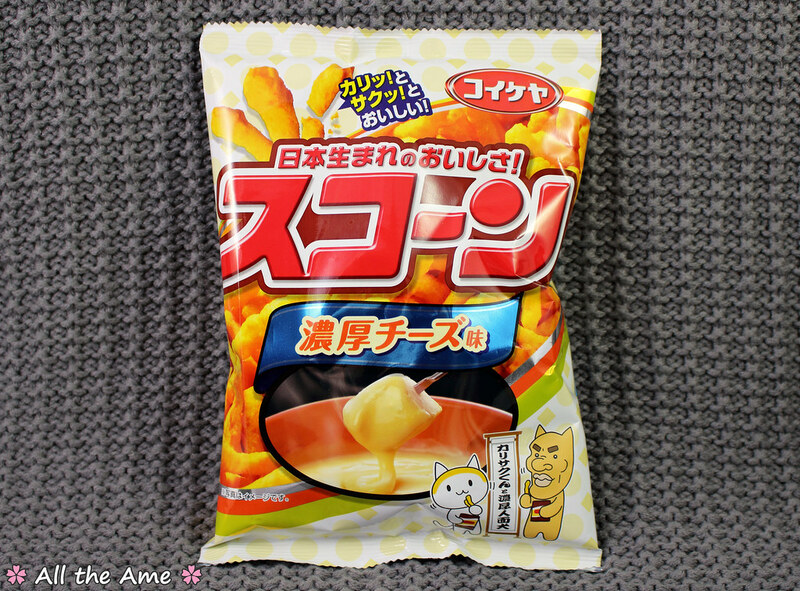 Both the honey and the soy flavours came through really well, I’d say this is more sweet than salty overall. 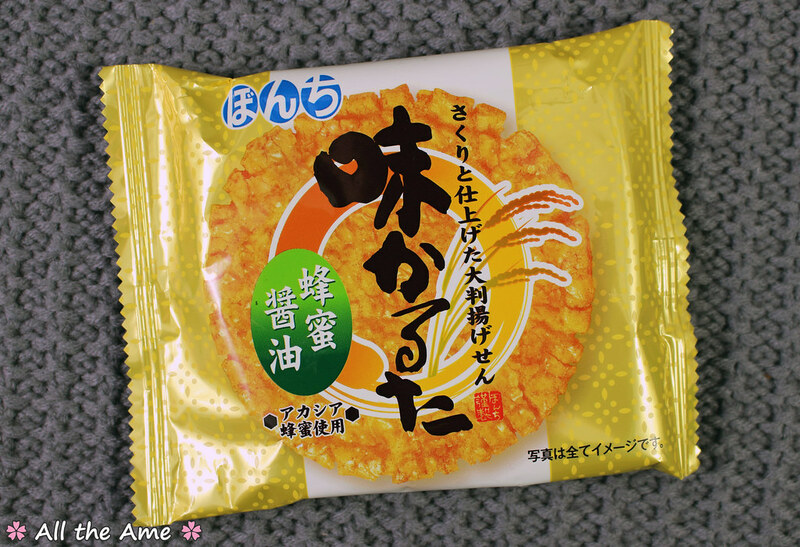 This has to be the crunchiest rice cracker I’ve ever eaten! The drink this month is a special 2017 Japan only edition bottle of Coca-Cola. How beautiful is this design? I love it! The coke inside is just regular coke, but TokyoTreat posed an interesting question; does it taste any different to the coke in your country? I thought so to be honest, compared to UK coke I found the Japanese stuff to be much less sweet, less carbonated (although that could be a shipping problem!) and there wasn’t as much caramel flavouring. It’s more akin to UK diet coke than regular, but not quite the same as that either. Very interesting! Another popular pick in subscription boxes and another snack I’ve always enjoyed, Scone are crunchy corn snacks that are quite like UK Nik Naks (but with much more exciting flavours). 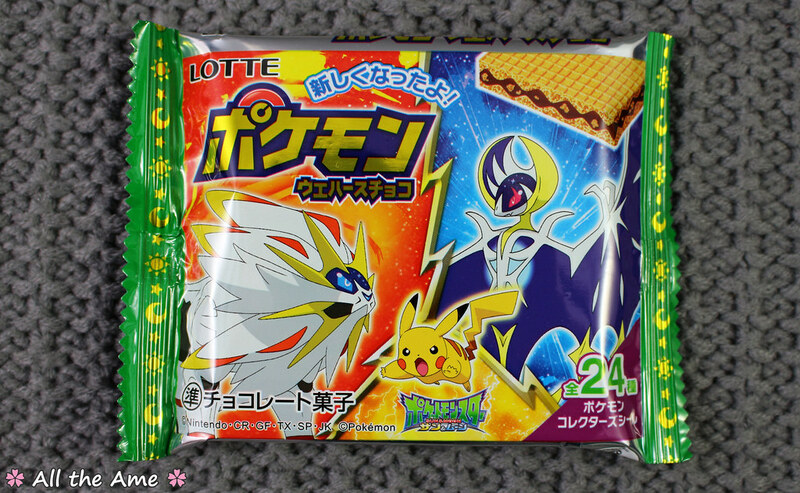 This pack has a rich cheese flavour, yum! There’s a generous coating on each stick but the flavour is surprisingly mild for being labelled rich. 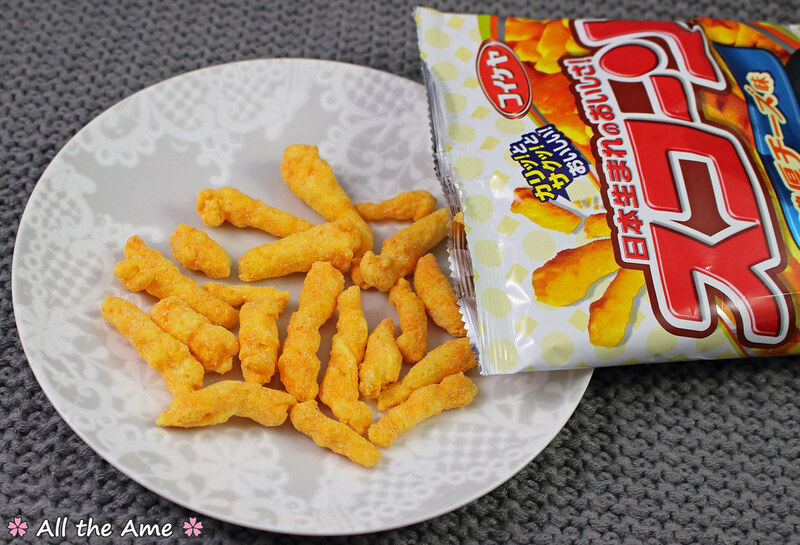 Beyond the mild cheese flavour there’s a delicious nutty flavour, like a good Red Leicester cheese, and a sweetness that seems to come with all cheese flavoured snacks from Japan. They certainly have a more complex flavour than regular cheese Scone do. They’re seriously moreish, which is okay as there are LOADS packed in this bag (another reason to love Scone- great flavours and generous portions!). 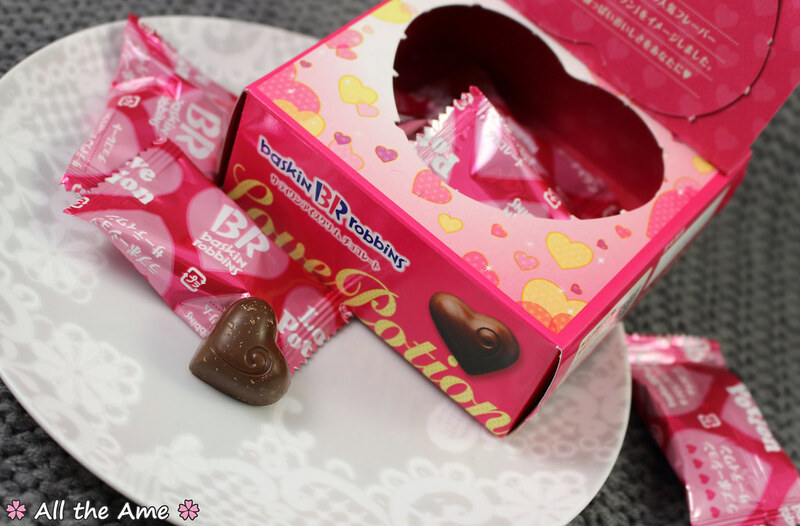 These cute little chocolates feature a filling made of raspberry cream and raspberry sauce, how delightful! These are 10,000/10 really, but for the sake of continuity 10/10. I certainly think my family loved me a little more when I shared them with them, haha. 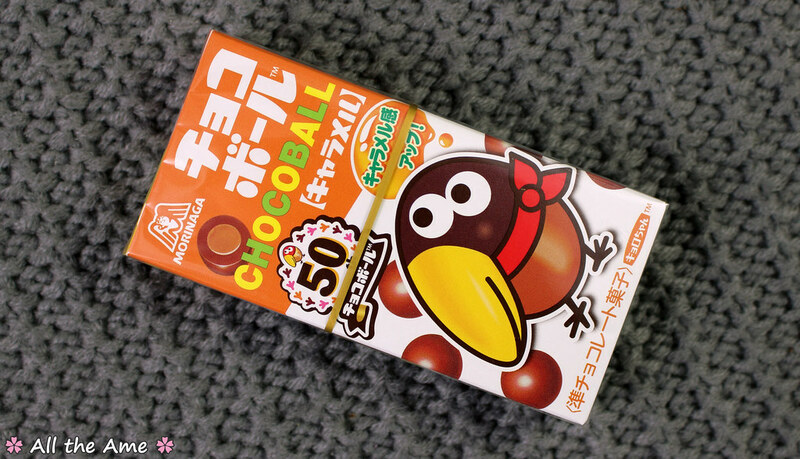 I wonder if the ice cream is as good as these chocolates? I will be writing about this and the ice lolly version in a separate post, so look out for that! 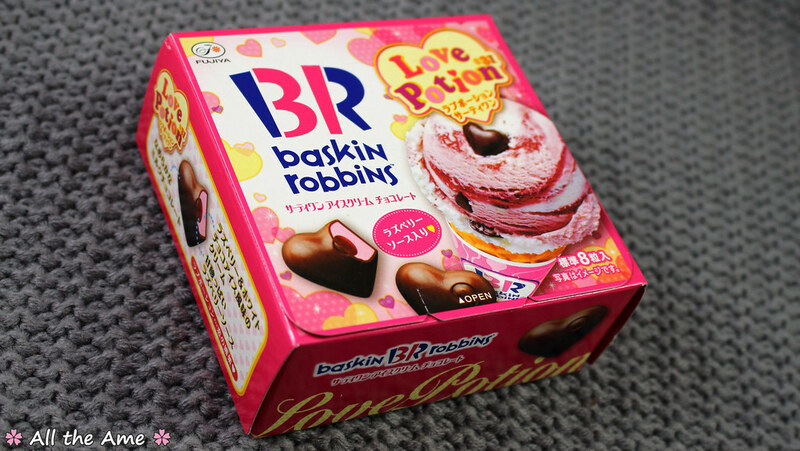 10/10 assuming you love super sweet things (I know I do!). 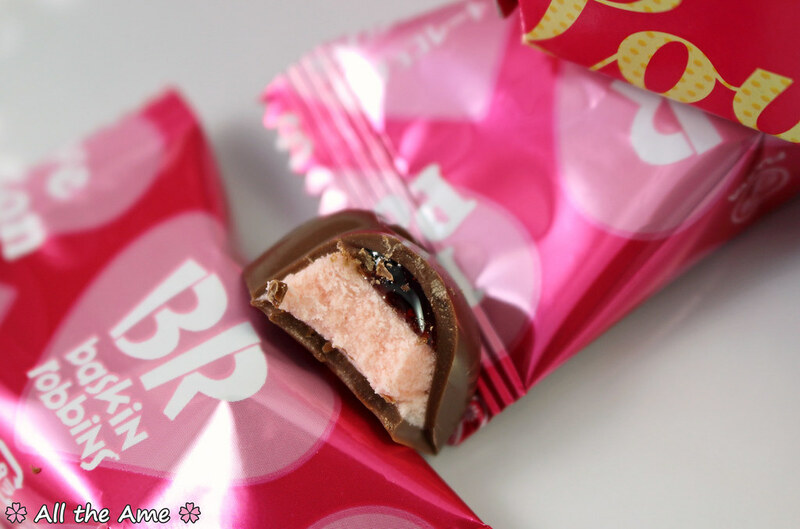 I never knew Baskin Robbins made chocolates like that. 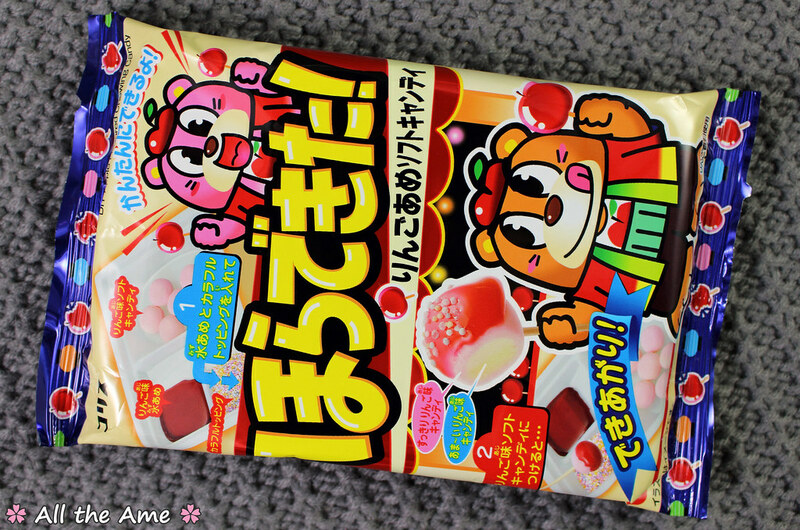 These all look so good, especially the peach flavored gummies! 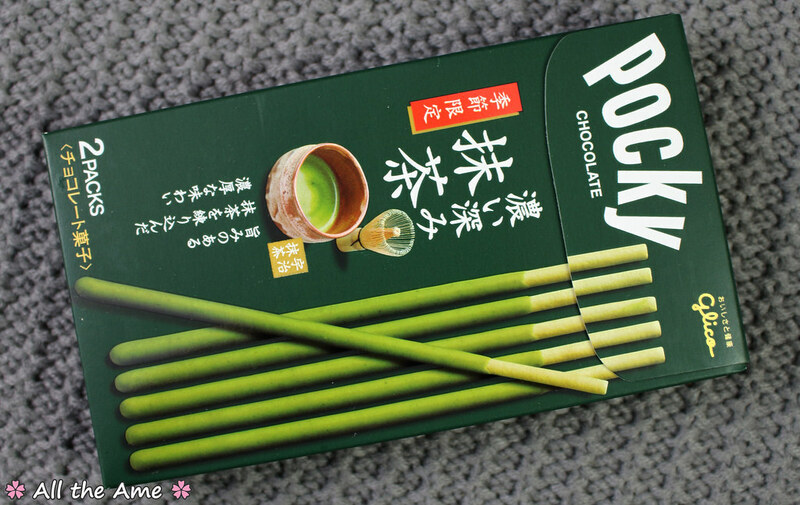 Finally got the Pocky assortment I ordered from Amazon as well as an 18 pack of strawberry Ramune soda. I have an 8 year old son who is seriously obsessed with both of those things and opening the Ramune bottle is one of his great thrills. Thanks for stopping by and liking my page. I’m pretty sure the ice cream is also delicious. It’s been a while since I’ve been to Baskin Robbins. I enjoy reading the long posts, personally, but I would understand understand if you shortened your posts a bit. It was a wonderful post as always!